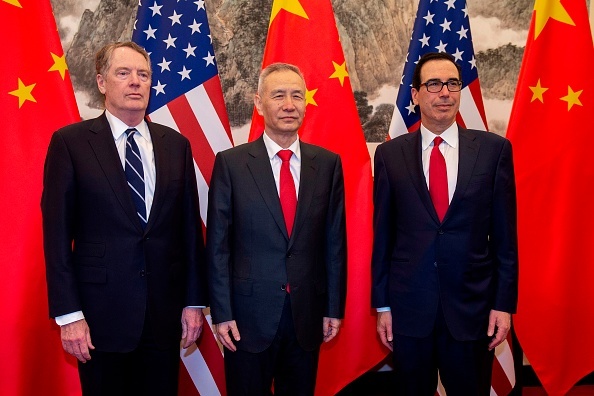 Senior U.S. officials wrapped up the latest round of trade negotiations in Beijing this Friday, with U.S. Secretary of Treasury Steven Mnuchin calling the talks "candid and constructive." While very few details have been released, China has gone further in presenting solutions on issues such as coercive technology transfer, a sign that the talks may be moving close to a conclusion. The cost of doing business in China for many U.S. companies is to share their technology with local partner companies, resulting in intellectual property theft that has "weakened support for China among the American business community," according to Joseph Nye, Harvard University Distinguished Service Professor, in an exclusive interview with China-US Focus Editor-At-Large James Chau. This has been a thorn in the side of negotiators on both sides, but this week China made proposals that moves the issue closer to a detente. "They're talking about forced technology transfer in a way that they've never wanted to talk about before - both in terms of scope and specifics," an anonymous senior U.S. administration official told Reuters. China has further pledged to import record amounts of pork and increase market access for foreign investors in banking, securities, and insurance. U.S. businesses have long complained about a lack of access, and Trump's tariffs on hundreds of billions of Chinese imports was partially aimed at liberalizing China's market. Negotiations are to continue next week in Washington, edging closer to a final deal to settle the U.S.-China trade war. As the clouds may soon part for a new era of U.S.-China relations, top China-scholars are urging for "smart competition" between the world's two largest economies, arguing that cooperative, effective competition can benefit both countries, and the world. For further in-depth analysis of China-U.S. Smart Competition, see the latest China-U.S. Focus Digest released this week. Chinese President Xi Jinping has wrapped up his tour of Europe, where he paid visits to Italy, France, and Monaco. Xi was uniformly met with red carpet pomp, and he returned home with the largest signatory to date for his Belt and Road Initiative. Italy has signed the accord, which urges stronger connectivity between Asia and Europe and better infrastructure ties. While this is a major accomplishment for Xi, many Italian onlookers are wary of further Chinese influence and concerned about potential security threats. 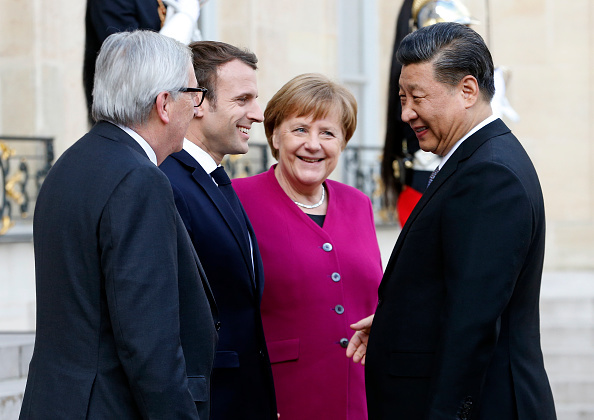 In receiving Xi, President Macron chose to represent a more suspicious unified European bloc, inviting Chancellor Merkel and other EU leadership to the meetings. Wary of China's global expansion, Macron emphasized that any discussions with France are also discussions with Europe. More than a dozen commercial and government treaties were signed during the visit, although France did not sign up to the Belt and Road Initiative. In return, China made a $35 billion purchase of Europe's Airbus SE jet on Monday, an apparent sign of goodwill. This week saw an expansion of President Xi's anti-corruption drive, one of his signature campaigns since taking office. After the mysterious disappearance of the former chief of Interpol last year, China this week expelled Meng Hongwei from the Communist Party, charging him with bribery, abuse of power, and other "serious" violations of the law. 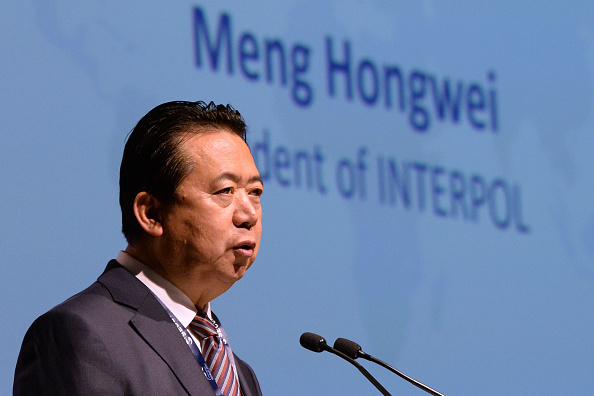 The first Chinese citizen to lead Interpol, Meng has not shown the customary loyalty to Xi, and this move has been widely interpreted as a punishment for ignoring decisions by party leadership. Lu Wei, formerly China's top internet regulator, also met his match this week, receiving a sentence of 14 years for bribery and corruption. A former rising star, Lu was expelled from the Party in 2018 and dismissed from office when a corruption investigation found that he had accepted more than 32 million yuan in bribes. Tsinghua University also suspended Professor Xu Zhangrun this week, a law professor whose series of essays criticizing Xi's authoritarian tendencies went viral. According to Xu, on Monday the university banned him from teaching indefinitely and made drastic cuts to his salary. Tsinghua University is Xi's alma mater, and one of China's most prestigious universities, however onlookers say Xu's criticism of party leadership proved just a step too far.